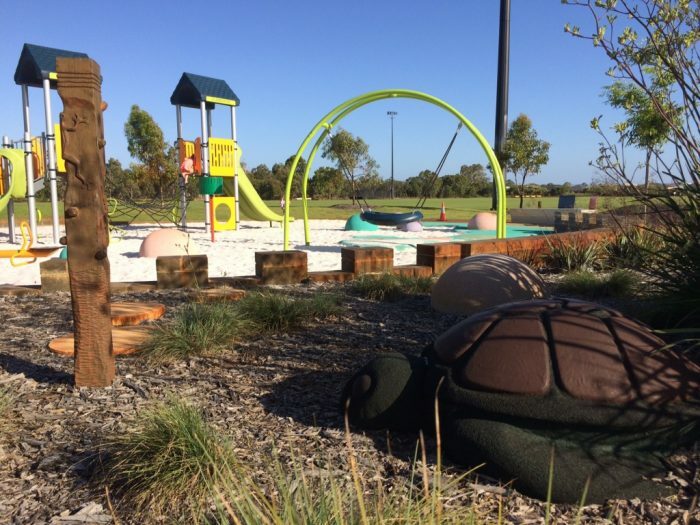 Another new development area in Ellenbrook, this playground in the District Open Space has provided a bright and colourful playspace that blends in to the surrounding environment perfectly – and with a broad range of play activities to stimulate and engage all ages. 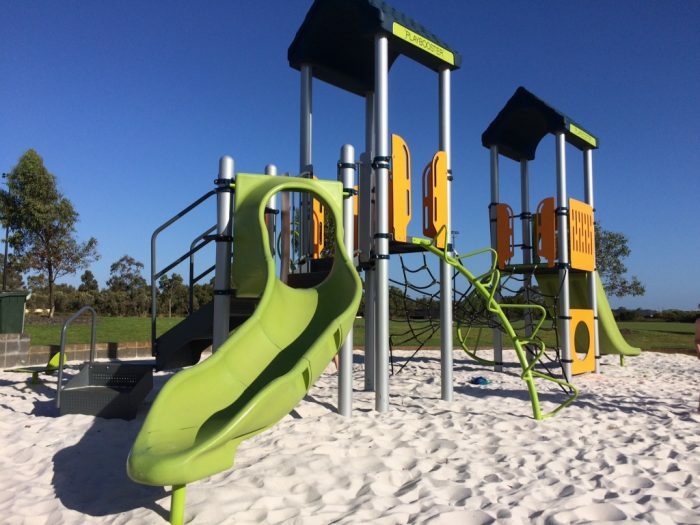 The main system is a 2 deck PlayBooster structure – with one side more suited to younger years and the other to older, more physically capable children with more challenging entry routes and the steep double slide for children to race back down. Connected by a climbing net, children can advance at their own pace to the play tower that suits them best. 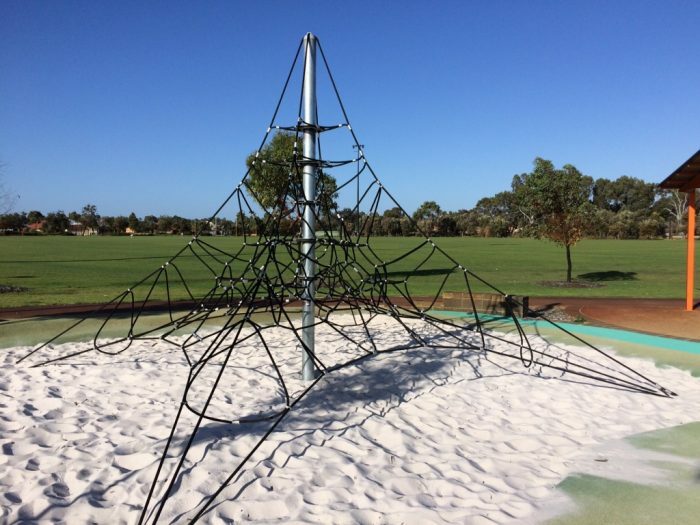 Also providing climbing challenge and “king of the castle” games is a 4m Activity Net – where children can climb and hang out at the top, surveying the world around them. 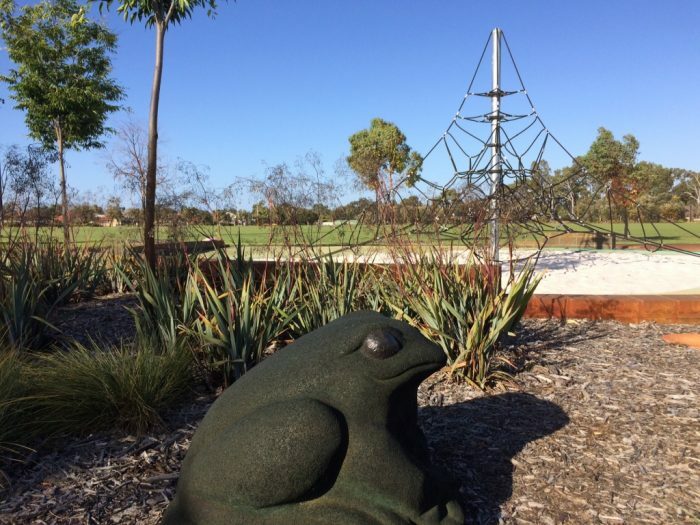 The overall playspace has a wealth of other activities with a SeeSaw, talk tubes and rubber domes, a turtle and a frog for climbing, discovery, sitting and imagination play. 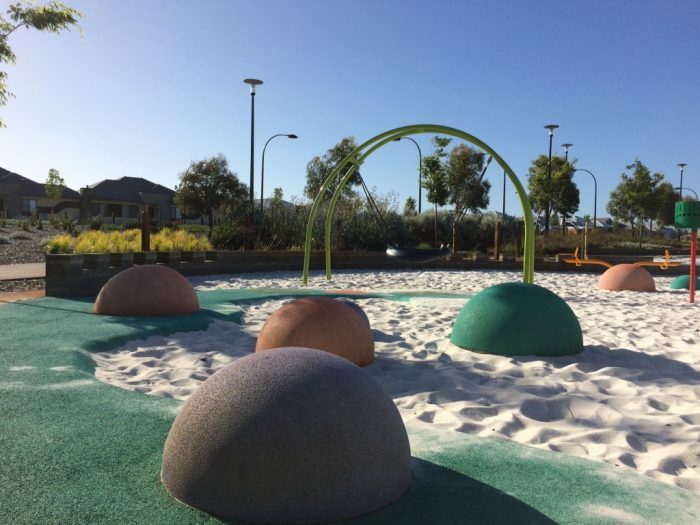 The domes also offer a colourful aesthetic and jumping games, promoting balance and coordination. 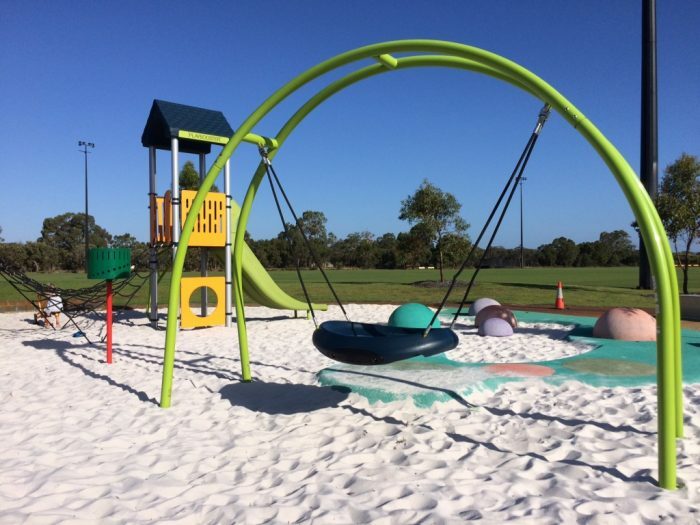 A SuperScoop provides digging fun in the sand, and glass fibre reinforced Fossil Digs are also hidden in the sand for sensory discovery. 6 carved wood totems also provide tactile stimulation and a softening visual aesthetic. 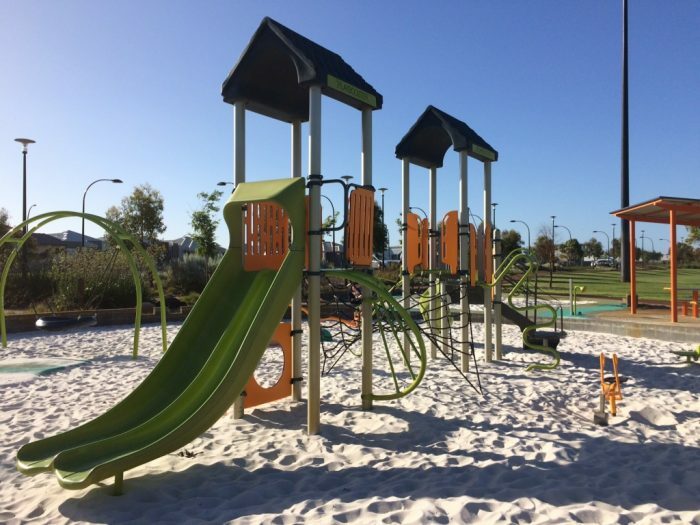 And to round it all off, the inclusive multi-user Oodle Swing provides swinging fun and vestibular stimulation to children (and adults) – whether alone or in a group, actively or passively, sitting, standing or lying down. 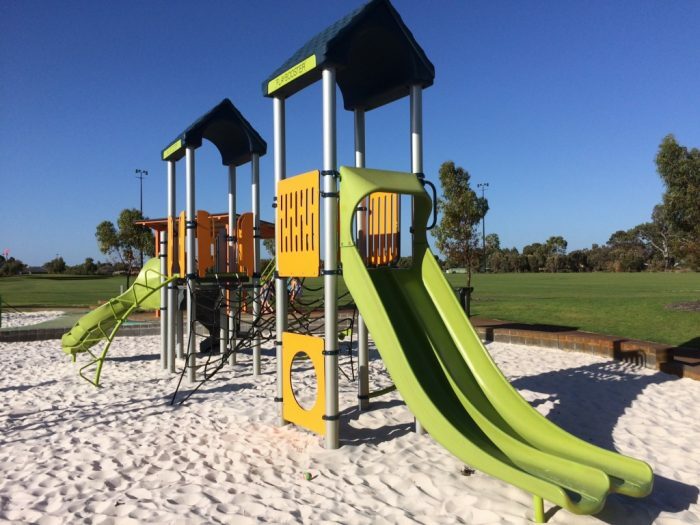 And when anyone is simply tired of playing there’s all the sand play and open space to keep young minds and bodies busy – a fantastic recreational space.